Quays Culture Wins an Award! It is always good to share some exciting news – our digital art commission HEART BEAT for our festival Lightwaves16 just won an international DARC award. 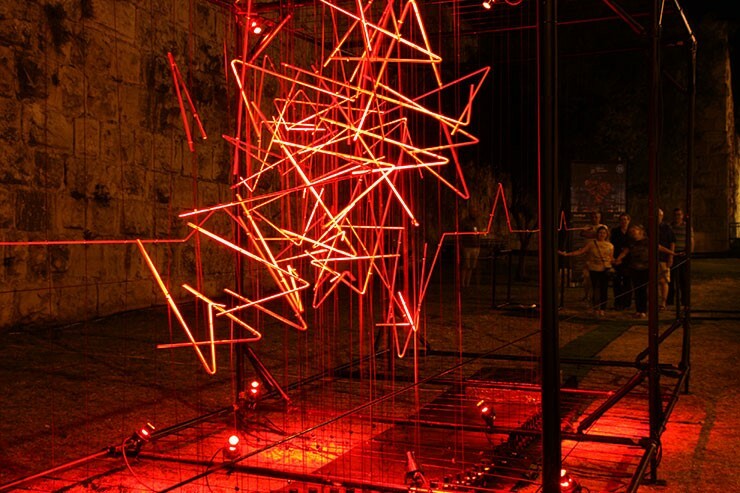 This artwork was first exhibited at Salford Quays in December last year, and has since travelled to Jerusalem Light Festival and next goes to Sunderland Light Festival next month. This was a co-commission between Quays Culture and Blackpool Illuminations, with Quays Culture as artistic lead and producer of the project. The artwork remains available to tour to other events and festivals. Image attached – credit Heart Beat by GNI, commissioned by Quays Culture and Blackpool Illuminations. Image credit: Heart Beat by GNI, commissioned by Quays Culture and Blackpool Illuminations. Visit Quaysculture.com for more info.